The question loomed largely at the end of the 2014 Big 12 season was whether Baylor or Texas Christian was the top team in the conference. However, things could be a little less complicated this term, and they are also expected to have a few others for company. Going into 2015, Baylor’s new quarterback, Seth Russell, will have a number of venerated players supporting his efforts. The Bears also have proven talents on defense, and unlike their Texas-based rivals, they do not have to rebuild the back seven. The thing that plagues predictions on Baylor and TCU this year have to do with seeing how things will actually play out at quarterback for the former and of course, how good the Horned Frogs’ defensive line is. These two factors are normally strengths for these teams, so intrigue is the call of the day as the term opens and the battle for the BIG 12 crown begins. Oklahoma had its worst season since 2009 last year and that didn’t sit too well with fans. The Sooners 8-5 record on the term also snapped a 4-consecutive season of at least 10 wins and head coach Bob Stoops, who has made some adjustments to his coach setup, has been busy preparing for the campaign. The hopes now rest on quick adjustments, as the 2015 season begins with a new coordinator in Lincoln Riley, and a Texas Tech transfer, Baker Mayfield, who is set to start as the team’s quarterback. A lot remains to be seen here. Texas, under coach Charlie Strong, are in the restocking phase, on both offense and defense, but with Malcom Brown gone, and new players in very key positions, an 8-4 finish would be good for this 2nd year coach. Texas Tech, with David Gibbs as the new, and much-needed, defensive coordinator, should return to post-season, or at least that is what is expected. 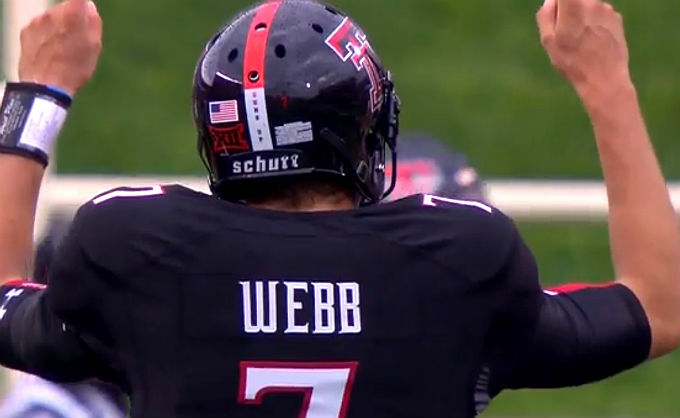 Coming off a disappointing 4-8 record last season, the only way for the Red Raiders now have to be up. The club has definitely improved, but coach Gibbs still has work to do on defense, which is why and 8-4 finish would be fantastic. Nevertheless, the experts are pointing toward a 7-6 finish, though. Kansas State is coming off a nine-win season, but is restocking on both sides of the ball, so question marks will appear. Iowa, squarely in a rebuilding situation, needs to see more of what Rudolph displayed at the end of last season to have a stellar new term. West Virginia showed a lot of promise last year, and predictions for them are to finished with a 7-6 record this year. The Kansas Jayhawks know they need to do better recruiting, so they hired David Beaty, but with a ton of work to do on that roster, it is likely his greatest victories will be off the field this year. Meanwhile, Oklahoma State is expecting to have a very exciting season, as the returnees are now primed and ready to deliver, after battling through the troubled campaigns. Interestingly, head coach Mike Gundy has decided to select sophomore Mason Rudolph as the club’s starting quarterback ahead of senior J.W. Walsh, who was the starter last year before a foot injury ended his season. “He’s been good with getting the ball in the hands of the players that the defense has allowed us to take advantage of offensively,” Gundy was quoted as saying.